Amber Random Slate Laminate Flooring is a beautiful natural look. Hues of Amber, Copper, and Browns make this decor subtle yet perfect for any decor. Slate is a smart choice in today's trends. 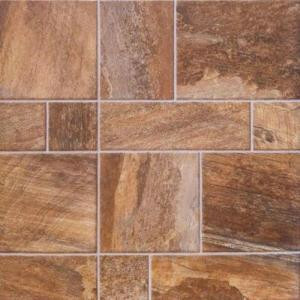 Amber Random Slate will complement any room, including kitchens and bathrooms. Do not forget your coordinating molding and trim. Buy online Innovations Amber Random Slate Laminate Flooring - 5 in. x 7 in. Take Home Sample IN-647219, leave review and share Your friends.